Son Of Soul Podcast 66 includes "Lose Your Way"
Here's a nice podcast courtesy of Greg Clifford aka The Son Of Soul. Good looking out on including 'Lose Your Way'! The blogs are losing their way! 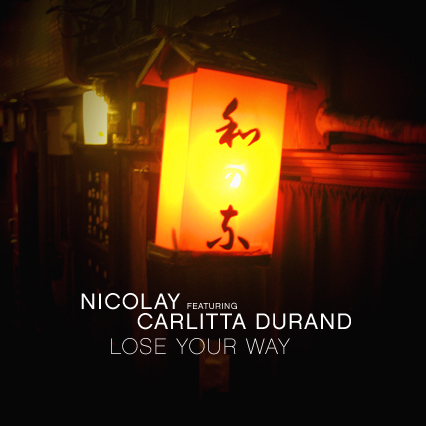 ''Lose Your Way'' has been out a little over a day, and already it is all over the place! We proudly present you with the first single taken from the upcoming Nicolay album "City Lights Vol. 2: Shibuya", in stores September 15 on +FE Music. Nicolay breaks down the production and mix of Raw Life by The Foreign Exchange (from Connected). Dilla's mixer | Uploaded by Nicolay Music. It should be no secret that the incredible beatwork of the late great J Dilla has been hugely inspirational to me, especially when I was first getting into production. I learned by studying his music, that there is room for musicality and for experimentation, as long as there is a strong and steady foundation going on underneath. Dilla's signature tracks always had that "sweet spot", that chord progression or melody that would tug at your heartstrings, while the drums and the bass would work on your neckmuscles at the same time. As a producer, his drums were eye-opening for me, not only because of his choice of sounds and of ways to process those sounds, but because of his often-imitated "drunken" style of drum programming. Before I got into Dilla's music, I suppose I more or less thought of drum hits as being relatively "fixed". For example, in one bar of four counts, you put a kick hit on the one and the three, a snare hit on the two and four, and hihat hits on every eighth note, with "swing" timing applied (or not, depending on what is called for). Dilla's programming taught me that if you exaggerate this "swing" timing, the drums come alive and feel more "human" and "in the pocket". Off The Shelf #5: Nicolay & Ugene - "Love Is In Control (Finger On The Trigger)"
'Off The Shelf' is the name of a recurring series on +FE Music. For each episode, Nicolay digs into his archives to present you with a gem that has never been released, or that has otherwise been forgotten about. Today, I am another year older, and what better to commemorate this than with a particularly festive 'Off The Shelf' download, aimed for the dancefloors! In the previous installment of this series, I broke down the story of how I first met the lovely and talented Moon Baker, many years ago. That story really isn't complete without acknowledging another good friend of mine, the amazingly talented Dutch singer and keyboardist Ugene. My bandmates and I had seen Ugene perform on a late night television show one night in '95 or '96, and we were all floored. A voice like Ugene's, you just don't hear everyday, especially in The Netherlands. It took us a while to track him down, but we eventually got a hold of him and somehow persuaded him to sing and play with us for a while. Fortunately for us, he ended up playing with us for several years. Most of my favourite memories from those days involve sharing the stage and the rehearsal studio with Ugene and Moon, who formed an incredible vocal tandem together. To make a long story short: Ugene and I recorded this cover version of the Quincy Jones produced Donna Summer track "Love Is In Control (Finger In The Trigger)" in April of 2005. It was originally intended for a compilation album on an indie label, but they didn't use it and so the track ended up on the shelf. Ugene is another artist that deserves any and all attention. He's currently working on a new project with a formation that actually includes two other friends of mine from Europe, Krewcial and Gus. Click here to watch one of their recent videos. Continue reading Off The Shelf #5: Nicolay & Ugene - "Love Is In Control (Finger On The Trigger)"
We recorded this over a month ago specifically for a ?uestlove tribute party dedicated to The Purple One himself. Other than passing it off to a few DJ friends who vowed to keep it on some secret squirrel, "bet you aint up on THIS!" status, no one has ever heard it. In the wake of the incredible loss we suffered on June 25 however, this joint took on somewhat of a deeper meaning. We decided to share it with our fans not only as a token of appreciation, but also as a way of paying respect to one of our last living musical geniuses. Let's not wait until tragedy strikes before we show love and gratitude to our heroes, people. Give them their flowers while they live. This one's for you, Mr. Nelson. You are loved and appreciated. Nicolay calls in to the nationally syndicated Rickey Smiley Morning Show for a quick interview about The Foreign Exchange. We find out that Rickey is a big Foreign Exchange fan, who plays Leave It All Behind every evening and thinks every track on it is a HIT! Listen to the audio below.